There are over 85 different species of Montipora corals currently recorded. Montipora is in the same family as Acropora corals, and they are considered a Small Polyped Stony Corals also referred to as SPS corals, only they are much more tolerant than most SPS. As the name implies, Montipora has a stony skeleton covered in tissue and small polyps. Though found in all tropical seas, Montipora species are more common in the central and Indo-Pacific area. Due to the different growth patterns and the variety of colors that the Montipora flash and polyps come in make Montipora, a very desirable coral in the hobby. 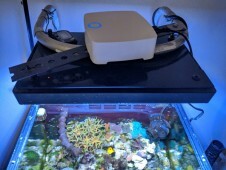 Initially, Montipora corals were considered a problematic coral to keep but by monitoring and managing your Alkalinity, Calcium and Magnesium levels now even a novice can keep Monti without much difficulty. 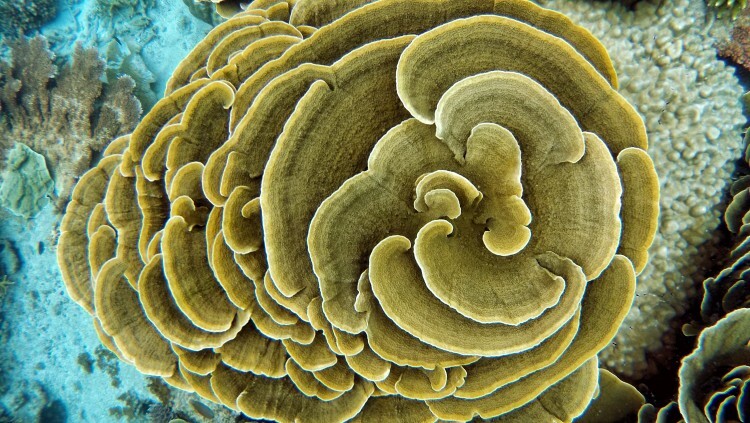 Some species of Montipora are considered quite hardy. Montipora corals are in many cases the first SPS corals that hobbyist will keep when transitioning to SPS corals. Montipora adapts well to their living environment, water flow and lighting will play a factor in their shape, growth, and color. One of the main issue people have with Montipora is not acclimating them to new lights. Montipora can bleach quickly if the PAR level is significantly higher then what they are used to. It is wise to place your Montipora in a spot with lower PAR (bottom of the tank) slowly move it where you want it. Feeding Montipora usually is not necessary for a tank with fish that are fed regularly. Lighting and flow will play a more significant role. 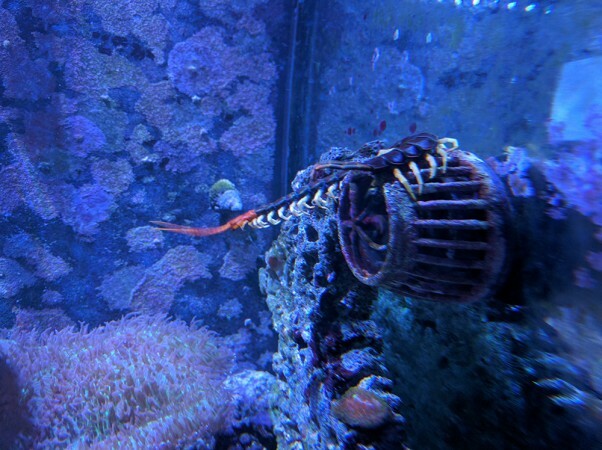 They do not seem to react to target feeding, so if you are feeding small particulate foods like reef roids, it is suggested to broadcast feed the tank. Montipora can grow in different ways submassive (downward growth), columnar (platting), encrusting, branching digitate (finger-like) and foliose (flower-petal like). It is also not uncommon for a Montipora colony to display more than one of these growing styles. When placing a Montipora keep in mind its anticipated growth and pattern how not only will Montipora usually beat an Acropora in coral warfare but plating Montipora can easily shadow corals below it. Medium to high light levels are suggested for Montipora, but keep in mind that increasing the PAR level drastically from what the Monti is used to and it will be susceptible to bleaching. Even is your Monti does bleach don’t toss it, lower the Monti to a lower part of the tank. You may be surprised. There are stories of people in the hobby who have thrown them into their sump after they thought it was dead only to find out months later the Montipora was still alive. Water flow can have a more significant impact on Montiporas then light. It will help sweep unwanted debris from on top of the Monti. The flow will pass more participants in the water through the small polyps. While considered a hardy SPS coral they can be subset able to some of the same issues as Acropora. The small polyps can look like a tasty treat to some fish like Longnose Butterflyfish and Angelfish causing the Montipora to retract its polyps. If your Montipora polyps are not showing, take a look at it late at night to see if the polyps come out then. If they do then one of the sleeping fish are picking at them. If you start to notice dead spots on your Montipora especially around the edges, you may want to take a close look. Some pests attack Monti’s like Montipora Eating Nudibranchs which are small nudibranchs that only eat Montipora. They like to lay their eggs under Montipora and hide out there, making it difficult to spot sometimes. Discovering them in your tank can be disappointing, but if you found one on the tank of your glass then you already have a severe infestation, and now you have to choose between treat them or try to manage them. Treating Montipora will require dipping them multiple times, which means removing them from your tank and putting them in a quarantine tank. 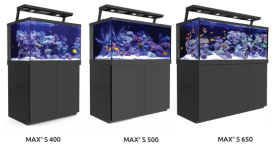 The quarantine tank is important how you do not want to place them back in your tank after you dipped them. The first time you dip them will most likely kill off most of the nudibranch, but their eggs will not be affected by the dip. You have to wait for the eggs to hatch so that you can dip them again. The Montipora Eating Nudibranch is asexual, meaning if one nudibranch survives it can reproduce without any other nudibranch present and can lay up to 100 eggs. These babies are tiny and difficult to see but with an army of 100’s they can still cause severe damage. The Montipora Eating Nudibranch eggs will hatch within 36 to 96 hours depending on the temperature of the tank. Warmer tank temperature will accelerate the cycle. Baby nudibranch become adults within one week of hatching starting the cycle all over. It is not uncommon for the nudibranch to favor a specific Monti and kill it off before moving to the next one. When treating Montipora, you want to treat all of your Montipora, even if your other Montipora don't show any signs of nudibranch. After you dip your Montipora wait two days and dip them again. I would suggest waiting another two days and dipping them one more time (maybe even two more times) to be safe. Leave them in the quarantine tank to observe and make sure they are gone before putting them back into your display. The longer they are out of your display, the better will you are dipping them and keeping them into quarantine you are also starving out any loose nudibranch in your display tank how they only eat Montipora. Coral RX is a popular dip that can be used to treat Montipora Eating Nudibranch, get some here. So taking the Montipora out of your tank is not an option? Then all you can do is manage them, in nature some fish like wrasse will eat nudibranch, one of the wrasses which most hobbyists have had luck eating nudibranch is the Coris Wrasse (Christmas Wrasse or Yellow Wrasse). Unfortunately, dealing with them in this way means there will always be that one that gets away and start the cycle all over. It may be wise from time to time to get a strong pump and blow all over the Monti to try to get some of the nudibranch to float into the open water. Most of your fish will make a quick meal out them then. If you do not have an extra pump, you can also use a turkey baster.